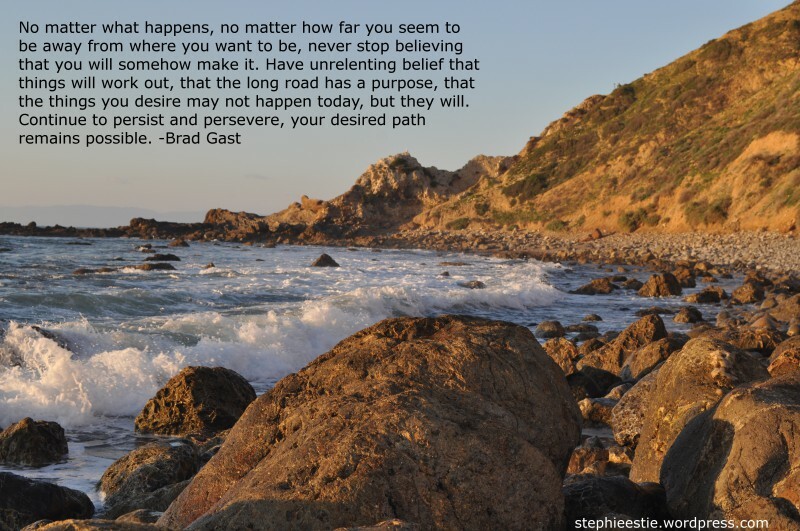 Motivational Tuesday: This Letter is to You! Hi everyone! It’s been a while since I shared a motivational quote and yesterday I stumbled across one that is perfect for anyone going through a difficult time. The you that’s had a rough week. The you that seems to be under constant storm clouds. The you that feels invisible. The you that doesn’t know how much longer you can hold on. The you that has lost faith. The you that always blames yourself for everything that goes wrong. 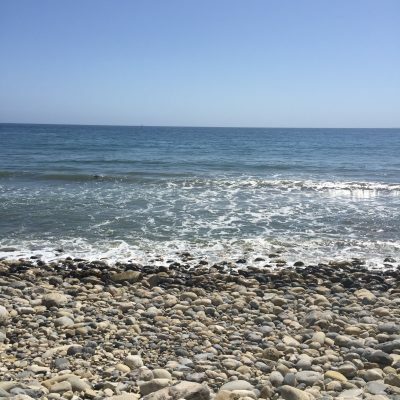 This fast-paced life can quickly become overshadowed by disappointments and despair, but remember that you are here for a reason and that you matter. Tomorrow could be the day your prayers are answered so have faith and don’t give up. 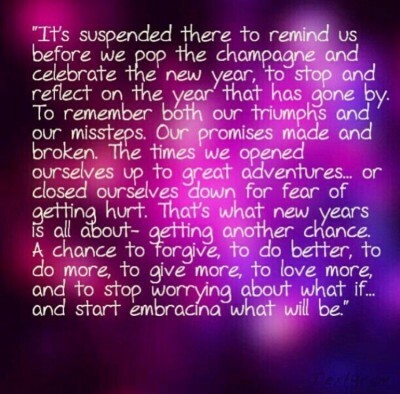 Happy New Year’s Eve (or day) everyone! I ran across this quote yesterday and I found it to be perfect for today. 2015 for me was a good year. I accomplished several of the things I set forth on my vision board in 2014. This blog has grown so much within a year and has been viewed in about 97 countries! To many, I am considered their go-to skincare and beauty expert and I can’t even begin to tell you how much that means to me. Whenever I get a text message, an email or a comment asking for my advice, I’m so thankful I’ve established myself in a way where people can trust my opinions and advice. I’m continually reading and educating myself to provide you with the best information available which lead me to accomplishing my dream of (finally) taking the UCLA Cosmetic Chemistry course. It’s crazy how when you put your heart and soul into something you love, greatness occurs. Of course, life wouldn’t be life if it also didn’t come with many downfalls and yes, I had plenty of those this year too. There are lessons we have to learn and sometimes they present themselves in the most painful ways. My willingness to help sometimes exposes me to be torn apart and used, making me withdraw from getting attached to people. This is something I have to work on. Defining myself as a person and not by my chronic illness is something else I’ve been struggling with. But, I just have to keep going forward, staying positive and having faith that things will get better. So what will 2016 bring? I have no idea but I have a feeling it will be awesome! I’m working on some other ‘visions’ so stay tuned. Thank you so much for the love and support you have shown me. May 2016 bring all of you happiness, love and health. 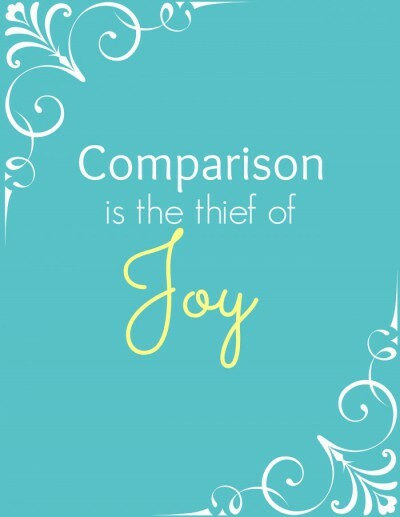 A Little Thursday Motivation: Comparison is the Thief of Joy! Hello readers! How is everyone holding up? I wanted to share a quote today that lately has been on my mind and perhaps can help you too and it is regarding comparison. With so many social media sharing platforms around, now more than ever it is easier to see what everyone else has been up to and all their accomplishments. While you get to in a sense experience and share their joy, too often it can also feel overwhelming and downright depressing in comparison to yours. You may be left wondering why your own life isn’t advancing as smoothly and fast as theirs. They look happy, without a care in the world. And so it begins. The doubting yourself. A tinge of jealousy. Forgetting the things you have accomplished because now it pales in comparison to what someone else did. The feeling that perhaps you’re not good enough. Once this type of thinking starts settling in, it can be hard to shake off. BUT, what we fail to see at times is that all of us have a different journey to take. Some individuals are blessed to find their purpose/calling earlier while other people take longer. Our paths may not be smooth but rare is the time that this is true for anyone. We see the smiles shared but what’s not shown are the tears, the struggles, and the worries. There are also different lessons we need to learn and if we look hard enough, we’ll find them and most importantly learn from them. Sometimes the roadblocks in our path are actually blessings in disguise, meant to protect us from harm. At other times, obstacles lead us to a different avenue we may have never encountered otherwise. This life is a continuous cycle of ups and down and the situations we find ourselves in are not forever. Keep working on your goals and dreams but also have faith in God that you are where you are meant to be right now. Instead of comparing yourself to what you aren’t, remember what you are. Everyone has different gifts and talents to offer the world. Don’t loose sight of that. I hope this was helpful in case you are going through difficult moments. Just know that you’re not alone and that all of us experience this from time to time. Keep going and don’t give up! Now I want to hear from you. Do you find yourself playing the comparison game? What do you do when you find yourself in this type of situation? 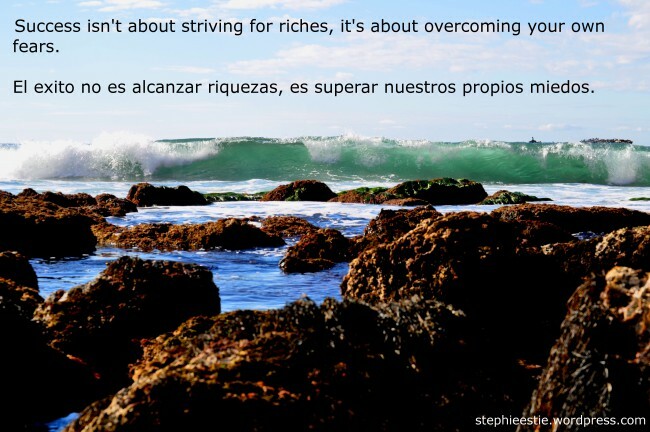 Originally, I read the quote in Spanish but I translated it up at the top. I think this quote holds a lot of merit. Often, we equate success with material items and while I am not saying acquiring these things isn’t great, we are also successful when we evolve as a person. Everyone has fears that hold them back from accomplishing goals but what were to happen of we decided to step out of our comfort zone? Would we grow emotionally, spiritually or physically? Perhaps therein would lie your success and who knows what endless possibilities it will lead to! Do you agree? What’s your definition of success? Hi readers! Thank you all so much for your concern and well wishes- I really appreciate it! I am doing much better than last week, expect for a mild cough. Anyways, I wanted to share the quote above I came across this week that really spoke to me. I interviewed for a position this week that I felt I would have been perfect for and although they were very impressed with me, sadly I didn’t get it. I was disappointed for sure but with support from my amazing friends and family, I’m able to see that although it wasn’t meant for me this time, it will be someday. Life has shown me (and continues to show me) that everyone’s timing is different. Some people are blessed with wonderful opportunities at an earlier stage while others take a longer road to arrive to where they want to be and there is absolutely nothing wrong with that. When I look back at all the obstacles I have faced, and believe me when I say they have been brutal, I am in awe of how strong I have become. I reflect on the exciting and unique opportunities I have been able to live because of them. So I leave you with this message my dear readers. Everything has a way of falling into place when the time is right. Never stop going after what you want whether it’s in life or love. Move forward with the faith that if it’s meant for you, it will be. And if it’s not, well, just know that something better will come along that will make you see why other things never worked out the way you had hoped.